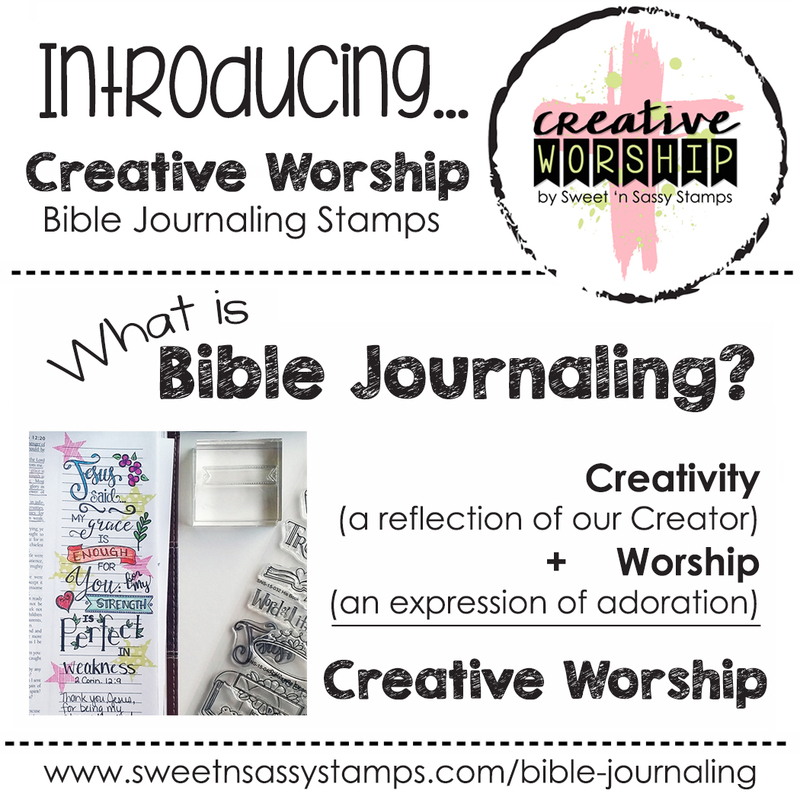 Sweet 'n Sassy Stamps: Rejoice! Hello sweet friends! 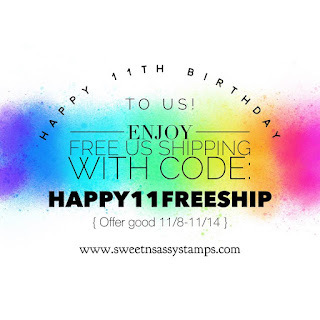 We are having fun celebrating SNSS 11th Birthday and hope you are enjoying all of the birthday specials! 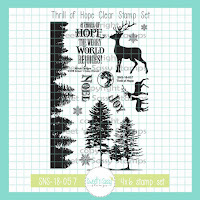 Today I am sharing two cards made with one of my favorite new Christmas stamp sets...Thrill of Hope. Distress Oxide Inks were applied directly to a large acrylic block, spritzed with water and smeared onto a piece of mixed media paper to create the background for the trees. The same inks were used to sponge the sky and snow drifts on the card base. 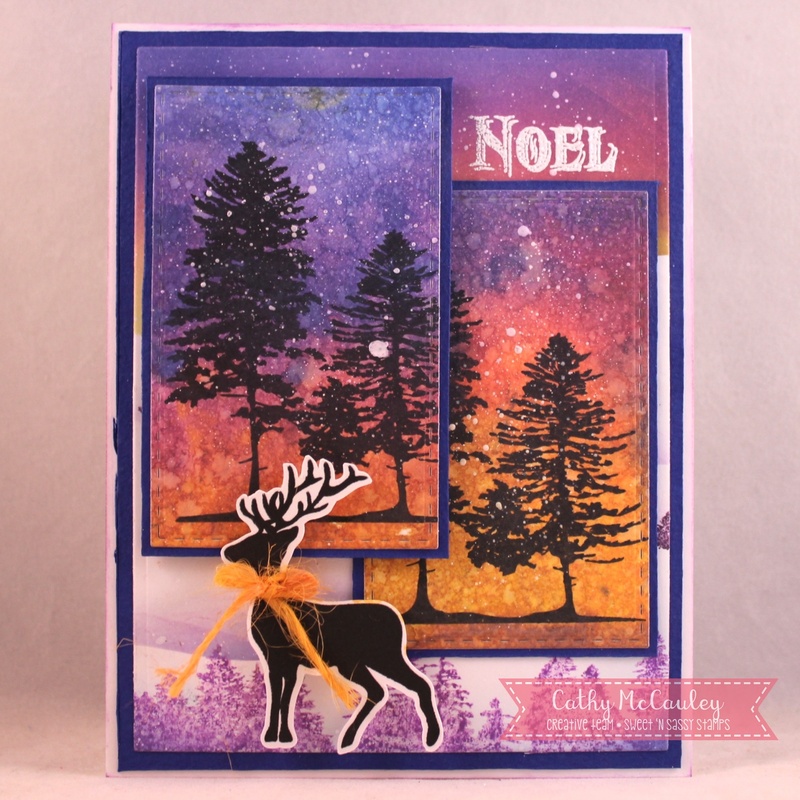 The tree border from the Thrill of Hope stamp set was stamped in purple along the bottom of the card and the deer, cut with a Scan 'N Cut, was popped onto the card. The sentiment was white embossed to finish the card. 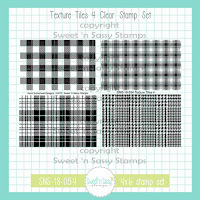 The Buffalo plaid from the Texture Tiles 4 stamp set was stamped in red on Kraft card stock to make the border along the left side of the card. The tree border was stamped in Frayed Burlap ink at the bottom of another panel of Kraft card stock. The large trees and sentiment were white embossed and snowflakes stamped in white and Frayed Burlap inks were added to the sky along with white paint splatters. 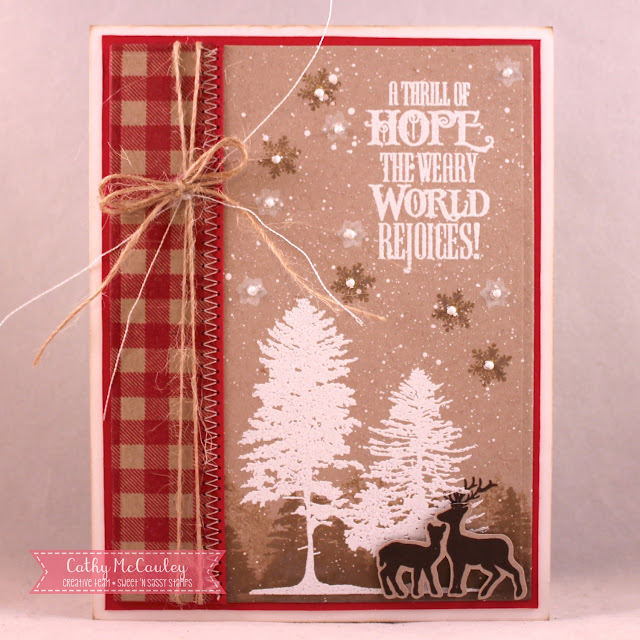 Tiny gems were white embossed and added to the snowflakes for added dimension to finish the card. 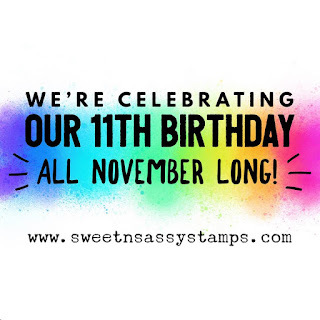 Be sure to join us on Facebook to see all of the Birthday Specials, Giveaways, Live Videos, and Free Stamps! Cathy, I love the distressed oxide background! So pretty and colorful... perfect background to those silhouette trees! Great layers and designs! Happy Birthday and Some Snowman Soup!